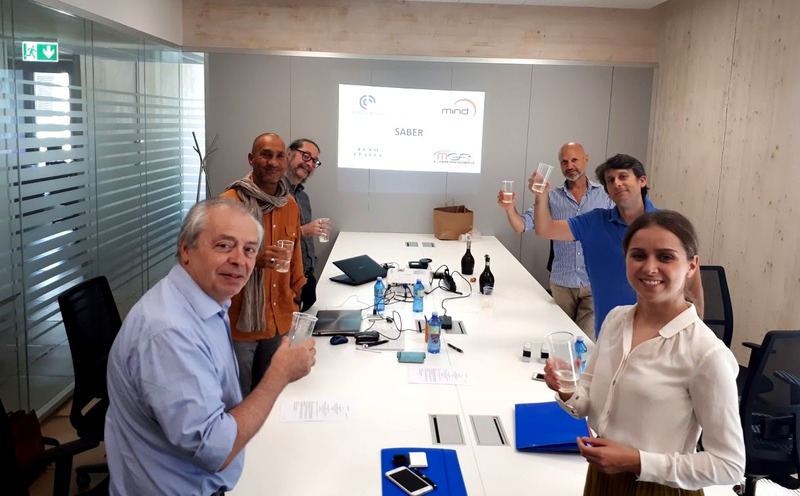 August 25, 2018 - concluded agreements on cooperation with a small-scale innovative enterprise “Saber”, established at the Moscow Polytechnic University and other Italian companies. The General Director of the small-scale innovative enterprise (SIE) “Saber” Daria Isakova signed agreements on cooperation with four Italian companies in the automotive and machine-building sectors. The company “People Design” renders services in the areas of consulting, engineering, expertise and certification. The “MIND” deals with creation of technology innovations for industrial enterprises, and, as well, with development and production of composite components. The “Mahindra Graphic Research Design” (MGRD Srl) offers solutions for improvement of complicated processes management in the automotive sector and industrial design. The “Team Italia Srl” consults international engineering projects. According to conditions of the agreement the SIE “Saber” becomes an official representative of these companies in the territory of the Russian Federation. Italian school of engineering is known all over the world and is renowned for its traditions. For us cooperation with the companies, working directly with carmakers like Ferrari and Lamborghini, is a new step in shaping a sustainable engineering culture”, - says Daria Isakova. – “Signature of agreements opens new opportunities for us, including the possibility for our engineers to work directly with their Italian colleagues. On the side of “Saber” and the Moscow Poly we are prepared to provide the search for new opportunities for Italian partners in the Russian market. Of course, we will work on joint projects and products, about which we will tell you a bit later. The SIE “Saber” was established at the Moscow Poly in the spring of 2017 on the basis of the Center for Engineering Development. Activity of the enterprise is focused on rendering engineering, production and consulting services. Among the implemented projects of the SIE “Saber” there are a children’s training constructor “Educar”, educational VR courses on car manufacturing, an electric bike and an electric tricycle for nature protection zones. On the picture: a co-founder and CEO of the “People Design” Pietro Pometti, a co-founder and CEO of the “MIND” Francesco Varassi, Technical Director of the “Mahindra Graphic Design Research Design” Carlo Benedicti, CEO of the “Team Italia” Marco Raimondi and CEO of the SIE “Saber” Daria Isakova signing the agreements.